I tasted over 60 hamburgers to develop the list, yes I actually tasted versus just cut and paste from the menus. 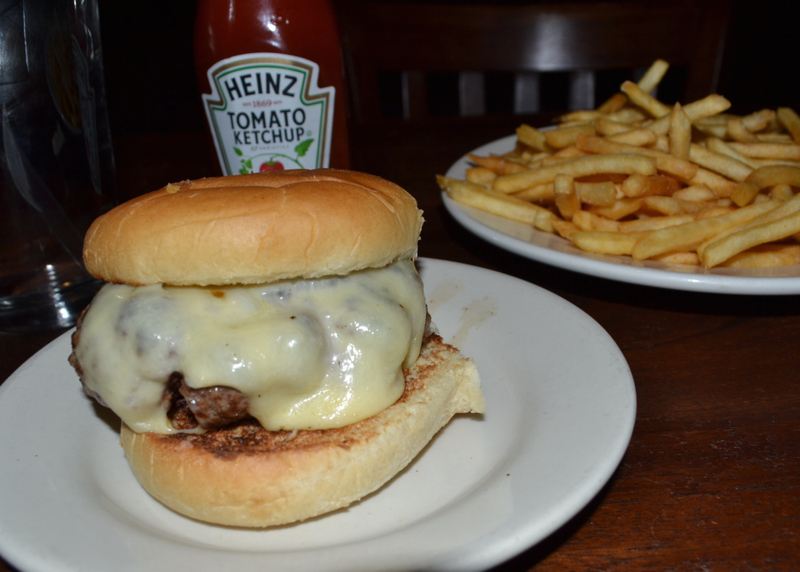 And I rated the Top-10 Bar Burgers from Greenwich to New Haven. The first two listings were in New Haven, and for #8 we move to Fairfield County and BJ Ryan’s Pub in Norwalk. The B.J. Ryan Burger was delicious; a simple burger served on a soft roll. The meat was perfectly charred on the exterior and juicy on the interior. The grind of the patty was not too compressed or too loose and a slice of American cheese brought all of the saltiness that was required. The fries, which are extra, were not in the same league and not worth the additional cost. (Not to be confused with the one that is sold at its sister restaurant BanC House). This entry was posted in Norwalk and tagged ctbites, hamburger, Jeff Schlesinger, jfood, norwalk by jfoodeats. Bookmark the permalink.